Project Angel Food is excited to host the 27th annual Angel Awards Gala at 6:00pm on Saturday, August 19, 2017 at 922 Vine Street, Los Angeles, CA 90038. This year’s event holds a special significance, as it will posthumously honor the legendary performer George Michael, a dedicated friend, volunteer and supporter of the organization and to date, its largest individual donor. He will receive the Elizabeth Taylor Humanitarian Award, named for the iconic star, who was both a generous and loyal benefactor. 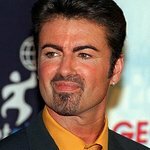 Adam Lambert will perform a special musical tribute, including a selection of George Michael’s most memorable songs. Other confirmed celebrities include: Kenny Goss, Charlie & Max Carver, Sheryl Lee Ralph, Sharon Lawrence, Cheryl Tiegs, Mary Wilson, Hal Sparks, Tyler Henry, Carson Kressly, Lawrence Zarian, and Gayle Anderson. Local celebrity chefs Rory Herrmann (Barrel & Ashes), Jason Neroni, (Rose Café), Neal Fraser (Redbird/Vibiana) and Stuart O’Keeffe will also be in attendance. Nordstrom will also be honored, as a longtime corporate partner and active participant in the Project Angel Food mission, and the organization is proud to acknowledge their continuing contribution. KTLA- 5’s Jason Ball, Vice President News and Gayle Anderson, KTLA 5 Morning News Reporter will also be recognized for their outstanding commitment to Project Angel Food and its ongoing support of individuals and families in need.